Arrive Guatemala City and met by your local guide. 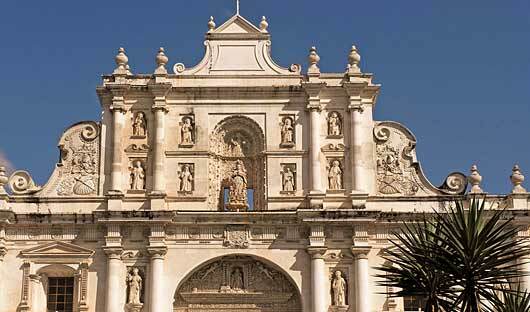 Drive to Antigua, a city of colonial relics, pastel facades full of history and vibrant culture. Overnight at you hotel in Antigua. Met at your hotel this morning for a tour of Antigua – visit the old convents, churches, the museums, main plaza and the Palace of the Captains General. El Convento is a luxury boutique hotel in Antigua located on a quiet cobblestone street across from the Capuchinas Convent. 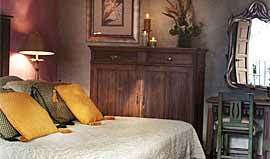 The hotel has a charming mix of contemporary style with traditional Spanish colonial architecture. 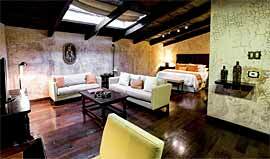 Each of the 26 spacious suites is individually decorated. The hotel has a pretty garden, outdoor pool, a superb restaurant and a relaxing roof terrace. 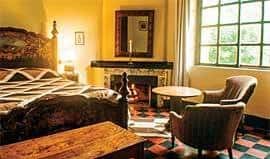 A once colonial home now converted into a charming hotel offers just 20 rooms with colonial style decor. The hotel is centrally located with plenty of nearby restaurants and features a quaint central courtyard and a roof terrace with views of Antigua. Drive through the Guatemalan highlands to Panajachel located on Lake Atitlan, a collapsed volcanic cone. This area is home to three volcanoes rising from the southern shores, the lively town has many small hotels, shops and restaurants and displays the most beautiful weavings in Guatemala produced by the local women. 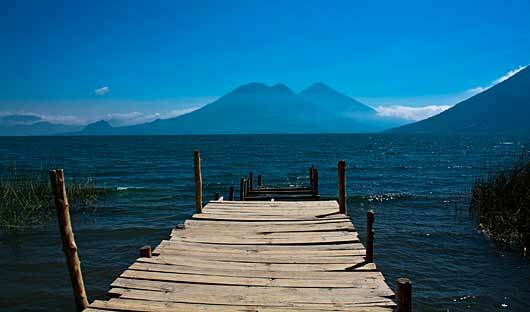 Enjoy a boat ride across the beautiful Lake Atitlán. Stop and visit a small traditional village and learn more about the local Indian culture. A fascinating sight to see local people dressed in their distinctive traditional clothes. Return to your hotel after the tour. Hotel Atitlan is a charming boutique hotel surrounded by botanical gardens overlooking the beautiful Lake Atitlan and the three surrounding volcanoes. 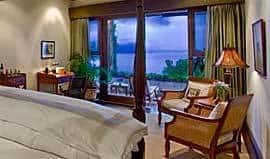 The 60 colonial style rooms and suites have all been individually decorated and each has a private balcony with a view of the lake and gardens. Behind the hotel lies the Reserva Atitlain where guest can enjoy hiking in the cloud forest, a butterfly farm and a zip line. Located northwest of Guatemala City in the hills surrounding Santa Catarina Palopó, the Casa Palopo overlooks Lake Atitlan and the three volcanoes – Toliman, Atitlan and San Pedro. The 7 guestrooms all provide private terraces with incredible views. Eco-friendly activities are available at the hotel as well as spa facilities and fine dining options. 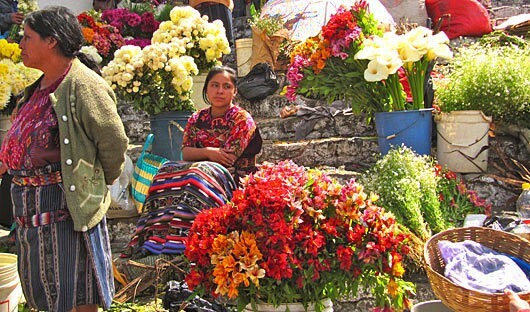 Enjoy a scenic drive to Chichicastenango a small village in the highlands famous for its colourful market held every Thursday and Sunday. Morning visit to the “Chichi” market. Whilst there are many handicrafts for the tourist to buy, the market still reflects the customs of the ancient Maya who dedicated themselves to trade. Indians from all around the region stream into town to sell, buy, to socialise and worship. Buyers and sellers bargain for produce, flowers, handicrafts, textiles, ceramics, traditional wooden chests and traditional masks. 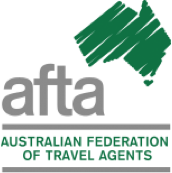 Transfer to Guatemala City and overnight. The Mayan Inn is a colonial-style hotel dating from 1932 and is located in the centre of Chichicastenango – close to the market. 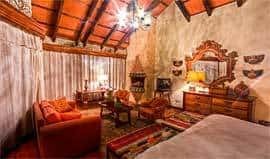 With a quint interior courtyard and 28 guestrooms and 2 suites, all with fireplaces and intricately carved wooden furniture this is the perfect place to unwind after a day of exploring. Today transfer to Guatemala City airport for the flight to Flores. 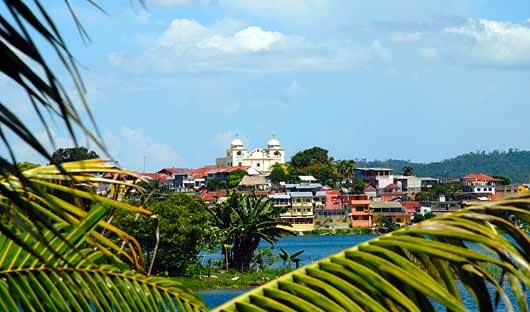 Met on arrival for transfer to your hotel in the jungle, on the shores of Lake Peten Itza. 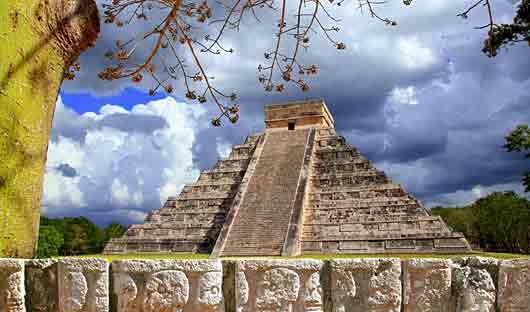 Tikal ruins tour – Transfer to Tikal National Park for a guided tour of the magnificent archaeological site of Tikal, dated 700 A.D. The ruins are located in a national park that covers 550sq kms, monkeys, toucans and many other tropical birds and animals inhabit the park. Tikal has revealed more than 3,000 pre-Hispanic constructions of temples, plazas, sanctuaries, ceremonial platforms, along with sculptures, altars and steles. Temple IV, the tallest structure in the Maya world, towers 65m above the plaza of Tikal and can be seen above the forest canopy. Explore the tombs, temples and walk through the heart of the jungle. This afternoon return to your hotel. 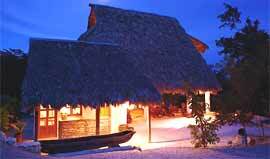 La Lancha Resort offers guests a luxurious stay in the rainforest overlooking Lake Peten-Itza. The rainforest cabanas and lake view casitas are beautifully decorated with Guatemalan textiles. The restaurant is an open air palm-thatched palapa overlooking the sea where guests gather to enjoy local dishes of fresh fish and parilla-grilled meat. 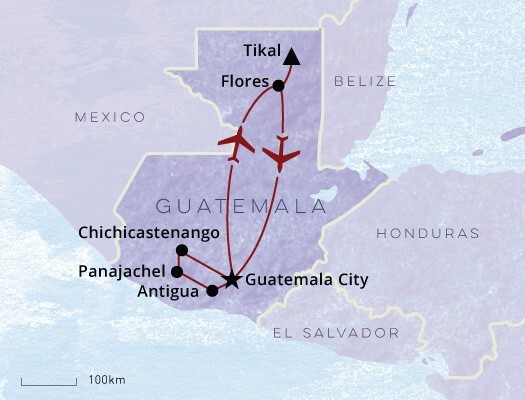 Depart Flores and fly to Guatemala City.